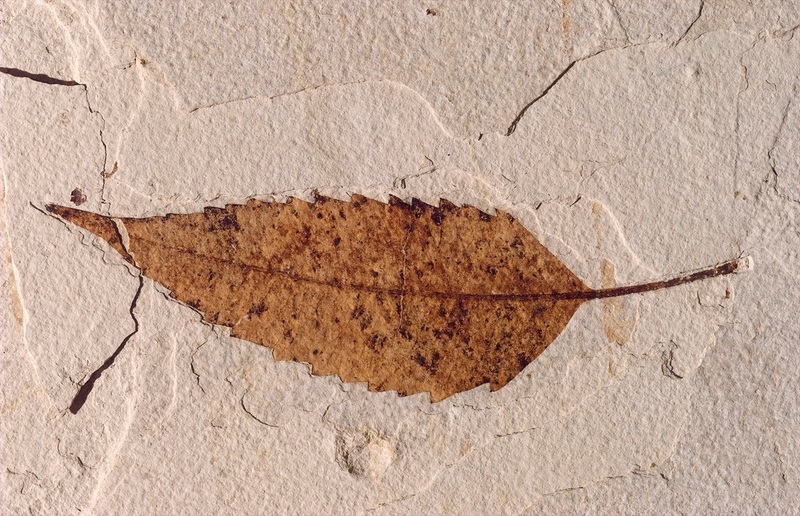 The climate during the early Eocene was warm and temperate to sub-tropical, then transitioned to slightly drier at the start of the mid-Eocene. Intermountain basin lakes in the Green River area were surrounded by forests of sycamores, while palms and cat-tails dominated the lake margins. Vast amounts of sediment were transported in the Green River area from the Rocky Mountain highlands to the intermountain basins. Mountain streams drained into lakes, forest and lake margin vegetation dropped to the ground and lake bottoms to decay while volcanic fields spewed ash into the air. These processes among others created the lithology that is found in the rocks of the area today. Sediments and associated geologic features found in the Green River Formation deposits include deltas, beaches, springs and rocks from center and near shore environments. Sediment layering is evident in the Green River Formation deposits, where cyclicity is observed. Dark layers represent deposition during the growing season, while light layers were deposited during dry periods (winter). A pair consisting of a dark and a light layer is called a varve. Each varve represents an annual cycle of sedimentation (1 year). This regular, annual cyclicity of deposition, along with Chron C22r methods, radiometric dating and paleomagnetism make accurate dating of sediments possible. - Split Fish Layer: Average thickness of 6.5 feet. 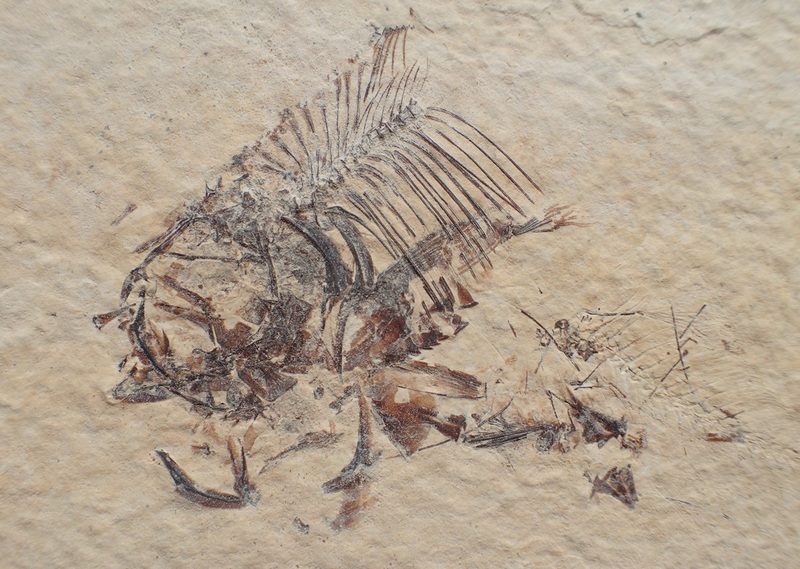 Abundant fossils of fish and other organisms, although diminished fossil quality due to the tendency of fossils to split between the top and bottom layers when separated. Fossils require little if any preparation. - 18-inch Layer: Limestone varves, oil shale and volcanic ash layers representing 4000 years of deposition. 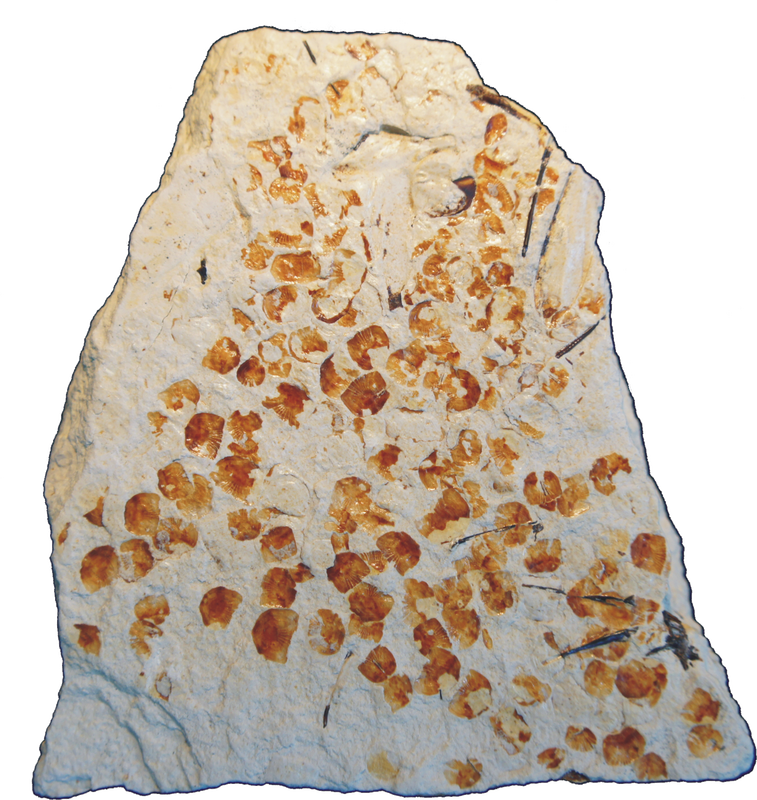 Some of the best preserved fossils in the World come from this zone, as fossils are preserved only on one sheet when layers are separated...the top layer of matrix acting as protection to the fossil. Some fossil preparation is generally required. - Relatively constant deposition of sediment in calm environments: allowed for rapid burial of dead organisms or plant material, offering protection from bacteria, the elements and scavengers. - Anoxic conditions: lack of oxygen in deeper aquatic environments prevented scavengers from disturbing dead organisms and plant material. 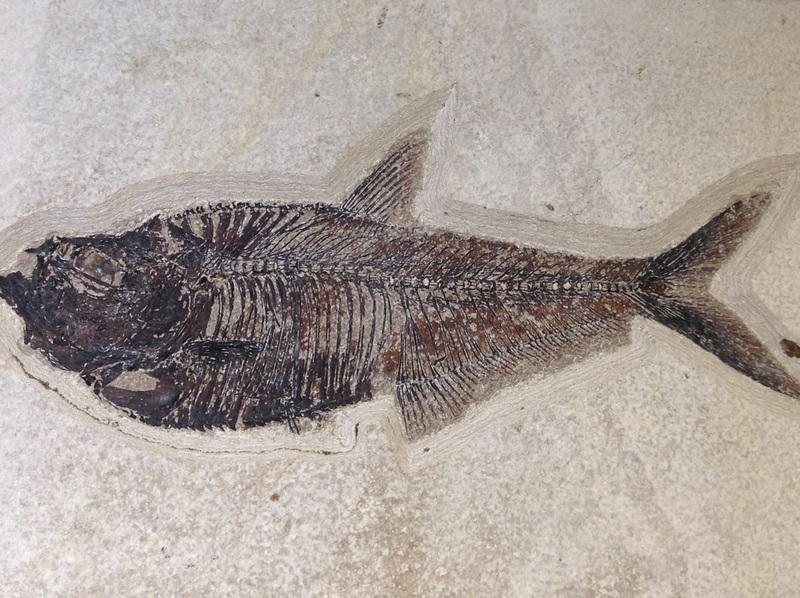 Green River Formation Fossil Fish showing extraordinarily-detailed preservation. From the collection of Jeff Brantley. 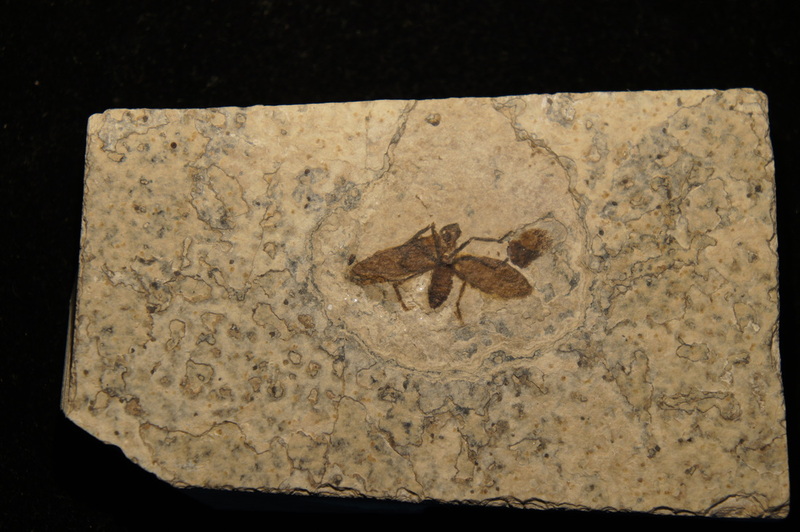 A wide variety of flora and fauna are represented in the fossil record of the Green River Formation ranging from vertebrates to invertebrates to plant material. Some 60 vertebrate taxa have been identified so far. 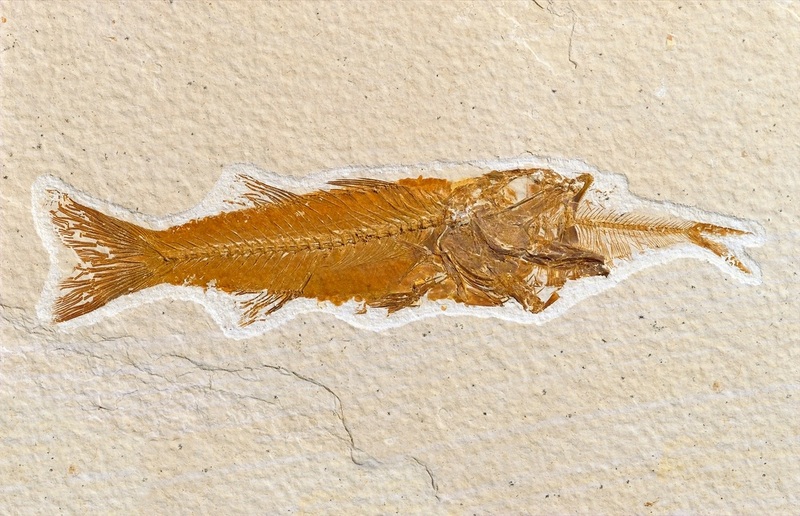 Fish tend to be the most well-known and representative of Green River fossils, for which roughly 19 genera have been identified including types of gars, perch, herring, suckers and large predators. Fairly commonly found species: Knightia eoceana, Knightia alta, Diplomystus sp. 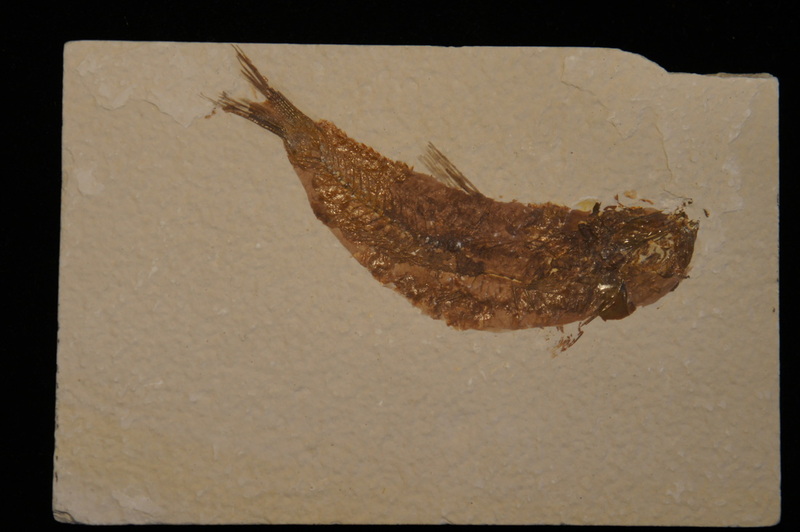 and Priscacara sp. Fish scales and spines scattered in the sediment. 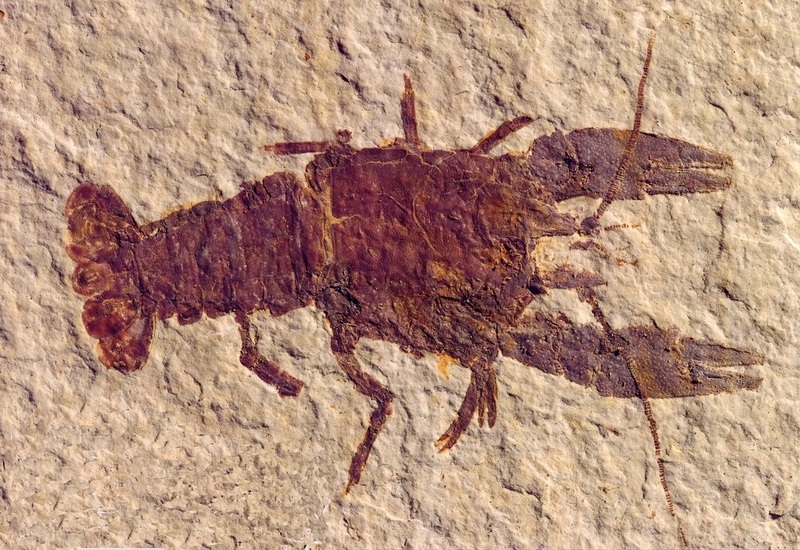 Invertebrates are abundant in the Green River Formation. More than 22 orders of insects are represented. Plant material found in the Green River Formation gives us a glimpse into the lush forests that inhabited the intermountain basins. Remnants of many types of trees are found including: oaks, maples, palms, sycamores, fir and spruce (the last two from the higher elevations). More than 325 types of leaves, seeds and flowers have been found so far. 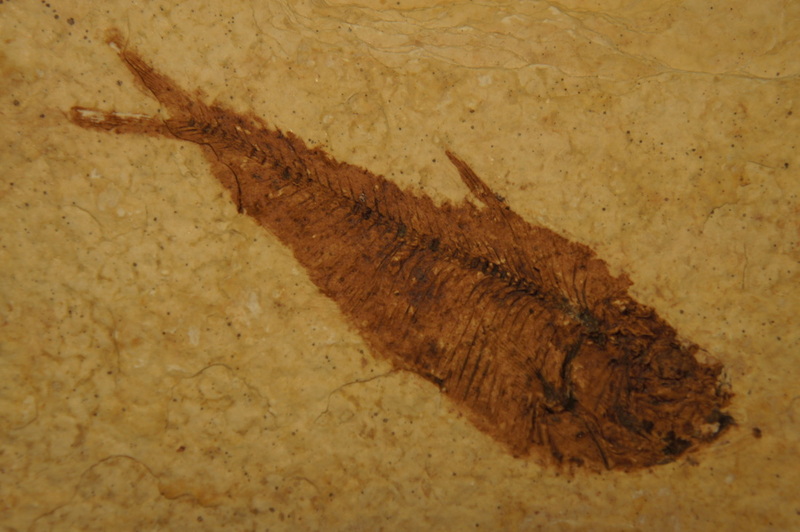 Unique information can sometimes be inferred from fish fossils in the Green River Formation. - Relative temperature: Cold weather generally causes dead fish to sink faster due to a less inflated swim bladder, and if accompanied with rapid burial, can lead to relatively intact fossil specimens. Warmer temperatures cause a swim bladder to inflate, keeping the dead fish suspended for a longer period of time higher in the water column, inevitably leading to disarticulated skeletons and scattering of bones in the below sediment. - Schooling: Sometimes mass mortality layers are found, where many specimens of the same fish species are preserved in a small area. It's generally implied that a rapid killing event (examples: many fish swam into an anoxic zone, volcanic eruption, fish trapped in a shallow pond which dries up, etc.) took place, and that the species schooled (stayed together for social reasons and swam in the same general direction as a group in a coordinated manner). 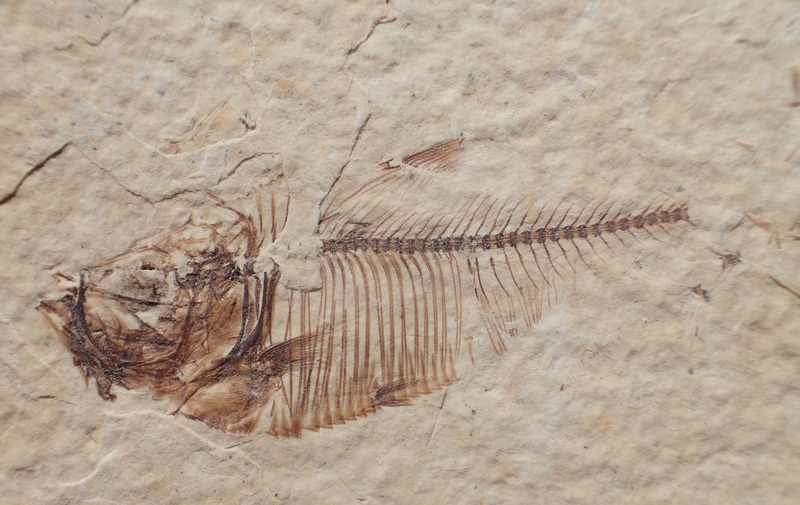 - Aspirations: Occasionally a fossil fish is found with another fish seemingly caught in it's mouth. 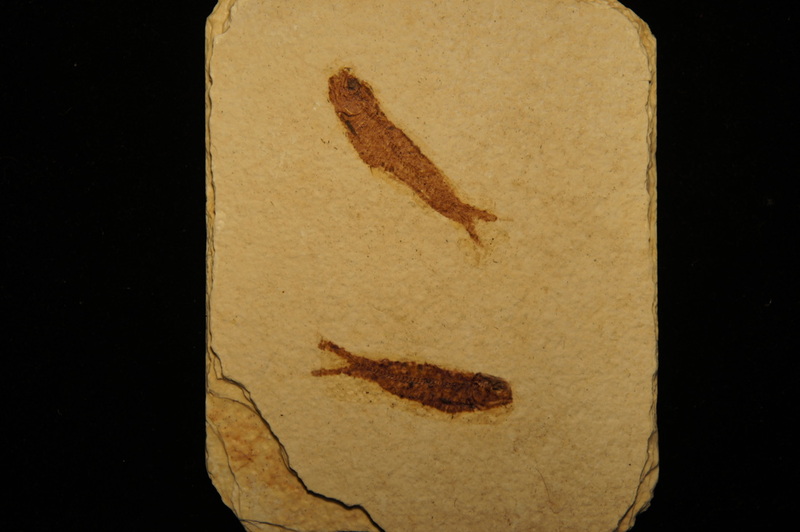 These fossil examples are labeled "aspirations", and are believed to show the death and rapid burial of a fish which choked and died in the process of eating another fish. (...tried to bite off more than it could chew.) Mioplosus are most-commonly found with other fish stuck in their mouths. 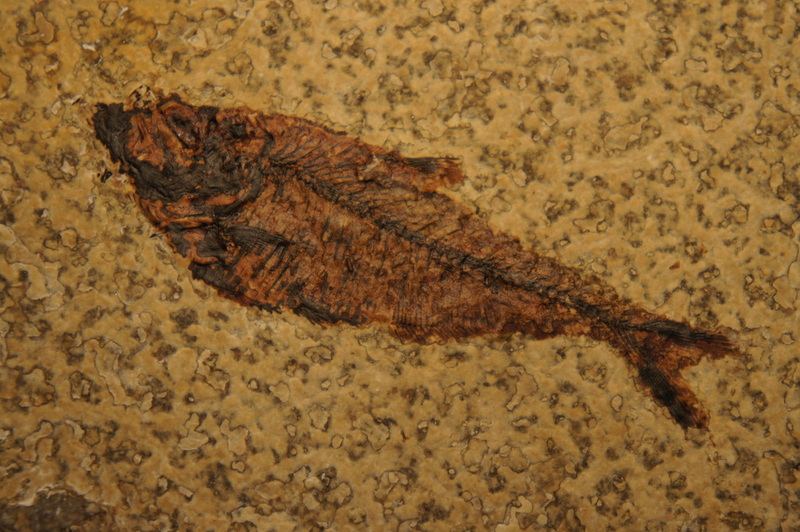 Aspirations of Diplomystus are also found, indicating that fish was included in it's diet. Small fish related to herring. Thought to eat plankton. 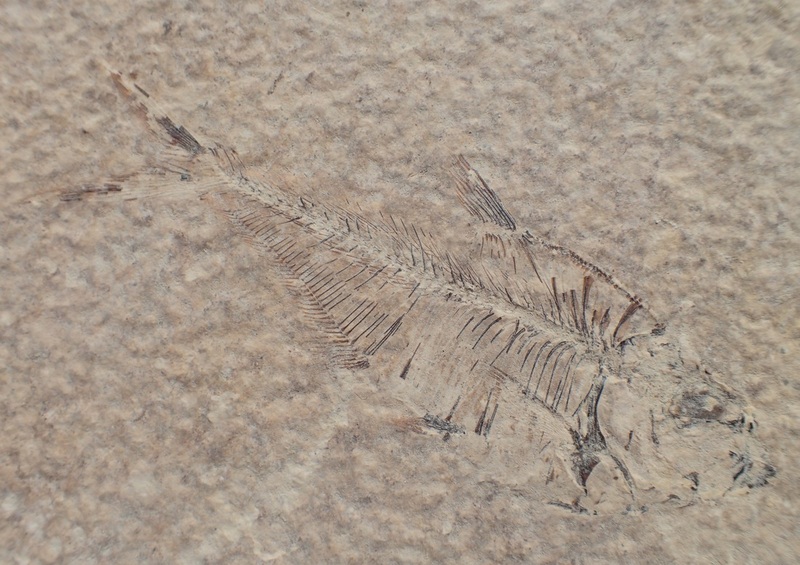 Most common fish species found in Green River Formation deposits. Knightia eocaena is most common in Fossil Lake, while Knightia alta is most common in Lake Gosiute. A type of herring. 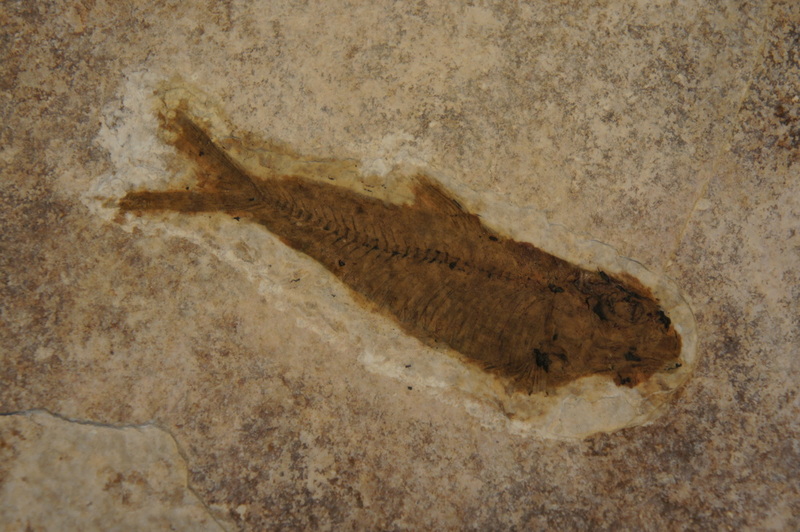 Second most common fish found in Fossil Lake. Occasionally found fossilized with fish in their mouths or stomachs. A type of perch. Solitary predator. 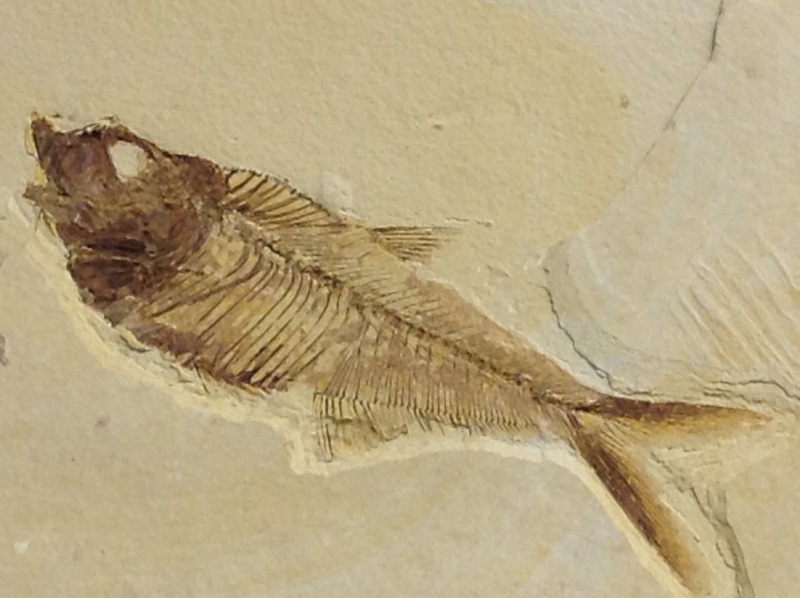 Most common fish in the Green River Formation to be found with other fish in its mouth. A type of perch. 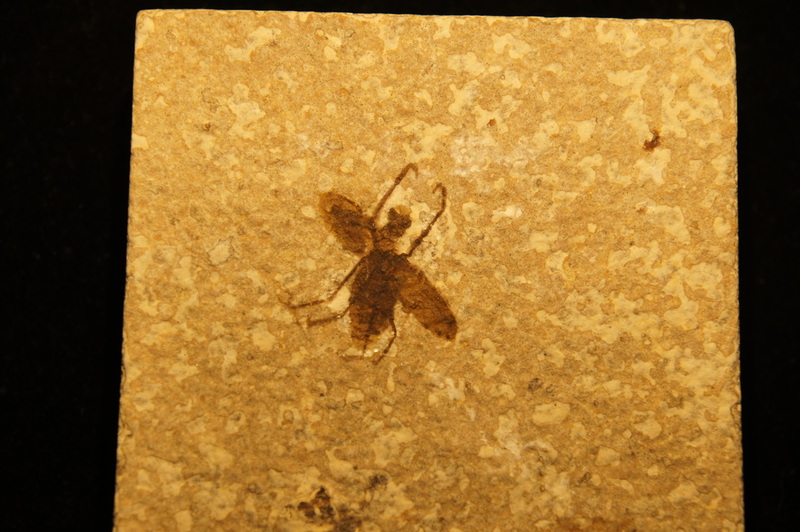 Priscacara liops is thought to have formed schools. 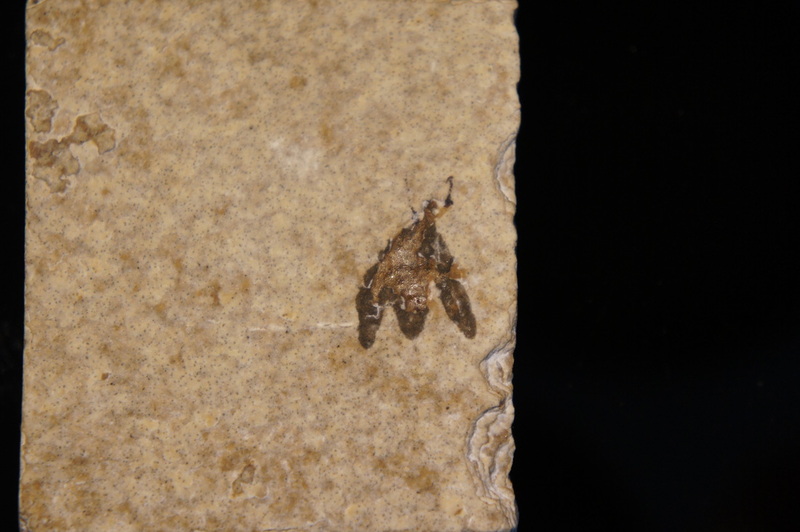 Priscacara serrata grew much larger than Priscacara liops. Sharp teeth indicate that these fish were fish-eaters, with evidence of Knightia, Mioplosus and Priscacara found in their stomachs. Phareodus testis was smaller than Phareodus encaustus.